Railroad Park isn’t very big, but it offers some of the most fun running in the Birmingham area with green walkways, train spotting opportunities, and an LED tunnel. For extra mileage, runners can expand their route south towards the University of Alabama Birmingham and its beautiful Campus Green. 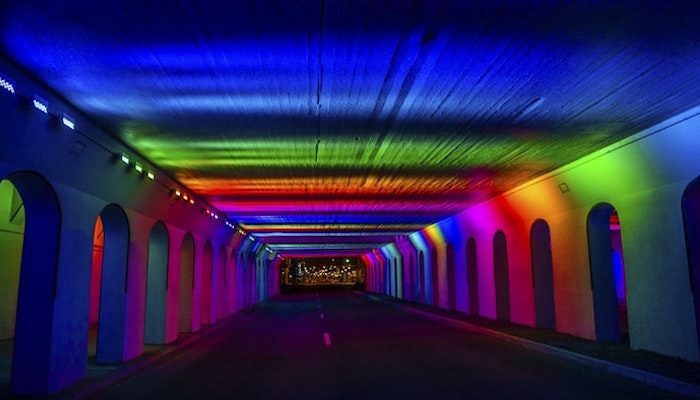 Start out with a loop through the park, wrap around on Morris Street, and be sure to run through the funky LED lit tunnel on your way south down 14th Street South. Turn LEFT through the Campus Green then go LEFT north up 16th Street South to return to Railroad Park. For a longer run, check out the Vulcan Park Trail, just to the south.